Voting in 702 Research. Action. Change. 2:30 p.m to 3:30 p.m. 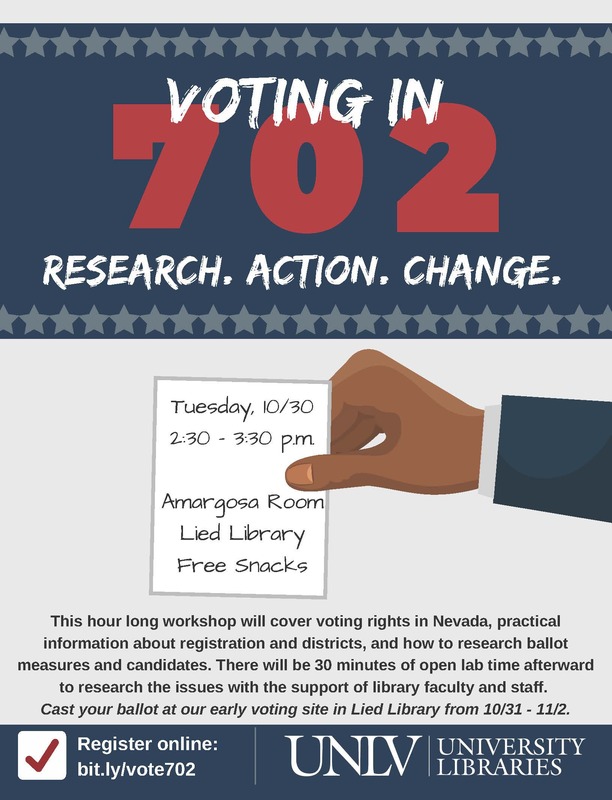 This hour long workshop will cover voting rights in Nevada, practical information about registration and districts, and how to research ballot measures and candidates. There will be 30 minutes of open lab time afterward to research the issues with the support of library faculty and staff.